The Museum is currently closed for re-development until 2016. 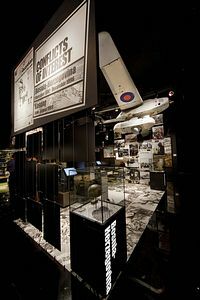 Discover the lives, legends and legacies of the men and women who have served in the British Army. Find out about some of the most remarkable episodes in Britain's history. We'll show you just how soldiers have lived and fought from the Battle of Agincourt right up to the modern day. At the National Army Museum the adventures of the British soldier are brought vividly to life! Free special events weekends are held throughout the year, featuring uniformed interpreters in role as British soldiers from the past, specialist lectures, children's activities and opportunities to handle period objects and artefacts. Group Package: Free coach parking, free talks with the chance to handle original and reproduction artefacts, free lunchroom provision (available to pre-booked groups visits). Average Visit Time: 2 hours. Disabled access: All galleries are accessible by wheelchair and disabled toilet facilities are available. Closed for re-development until 2016. By Tube: District or Circle Line to Sloane Square. By Bus:Nos. 11, 19, 22 and 211 along King's Road; No 137, 156 and 360 to Pimlico Road; No 170 stops immediately outside the Museum.